Forget Amazon’s package-toting drones—the future of retail may lie in satellites. That’s how Lowe’s is catching up to Home Depot in the hunt for customers. 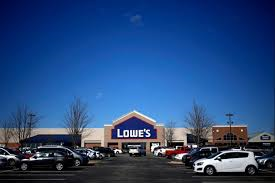 Lowe’s, writes BusinessWeek(Feb. 26, 2014), says that “it has been gauging traffic at its almost 1,900 stores from space, scanning satellite images of its parking lots to find out how many shoppers it can expect at every hour of every day.” It has also started syncing its parking lot observations with actual transaction counts to see how many people drove away without making a purchase. The space snooping is a great way for Lowe’s to manage its workforce, scheduling surges in floor staff when parking spaces are about to become hard to come by. Evidence shows the satellites are helping move the needle for Lowe’s. The fourth-quarter close rate—the share of shoppers who bought something—improved by almost 1%, and total sales per hour of labor increased by 2%. The company’s profit in the recent quarter increased 6.3%, while sales ticked up 3.9%. Anyone who has every wandered through a hardware superstore looking for an odd screwdriver or a particular kind of sandpaper understands how critical staffing is for Lowe’s. Cornering an aproned employee can seem more challenging than fulfilling the project. And there are few greater frustrations in retail than standing by with a simple question while another customer solicits a protracted product review. Lowe’s and Home Depot more or less sell the same products at the same prices in the same places. Assuming their supply chains and marketing strategies are in sync, their market shares ride almost entirely on service. From that perspective, being able to have more employees around when more customers need help is success–and not paying them to sit around in the store when shoppers are sparse helps, too.